Hector Lazo, 18, and Pedro Rivera, 23, both of Hempstead, are charged with 2nd Degree Murder, cops say. NCPD reports the arrests of Hector Lazo, 18, and Pedro Rivera, 23, both of Hempstead, in connection with a Homicide which occurred on Monday, March 20, 2017. Hempstead, NY - July 20, 2017 - Homicide Squad detectives report the arrests of two (2) Hempstead men in connection with a Homicide which occurred on Monday, March 20, 2017 at 6:15 pm in Hempstead. According to detectives, Hempstead patrol officers responded to a 911 call for a male shot on Front Street. 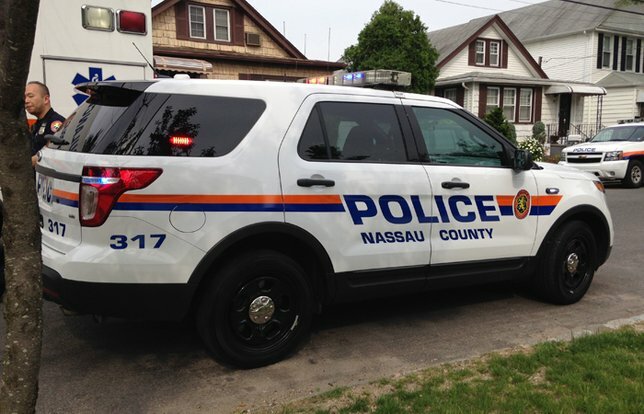 Upon arrival they located Nelson Rodriguez, 37, of Hempstead with multiple gunshot wounds. The victim was transported to Nassau University Medical Center where he was pronounced deceased at 9:24 pm by hospital staff. According to detectives, Hector Lazo, 18, of Hempstead and Pedro Rivera, 23, of Hempstead, after a subsequent investigation, were arrested on Tuesday, July 18, 2017 without incident. Defendants Lazo and Rivera are charged with Murder 2nd degree and will be arraigned on Thursday, July 20, 2017 at First District Court, Hempstead. Subject: LongIsland.com - Your Name sent you Article details of "NCPD: Two Arrested in Connection with March Shooting Death of Hempstead Man"